Hello everyone! I have been quite busy at my laboratory so i only have the chance to write this right now. 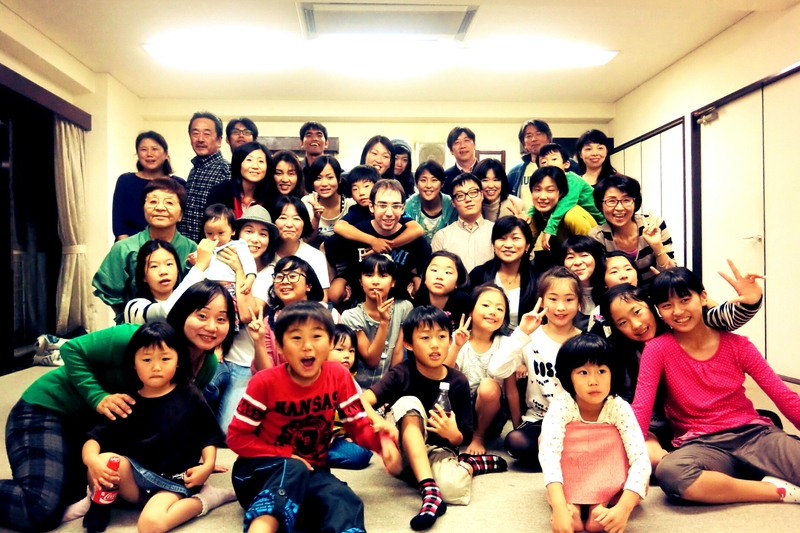 Last saturday and sunday (27-28 October 2012) i had a chance to follow a short homestay program (that is held by International Student Center Tokodai and Hippo Family Club). 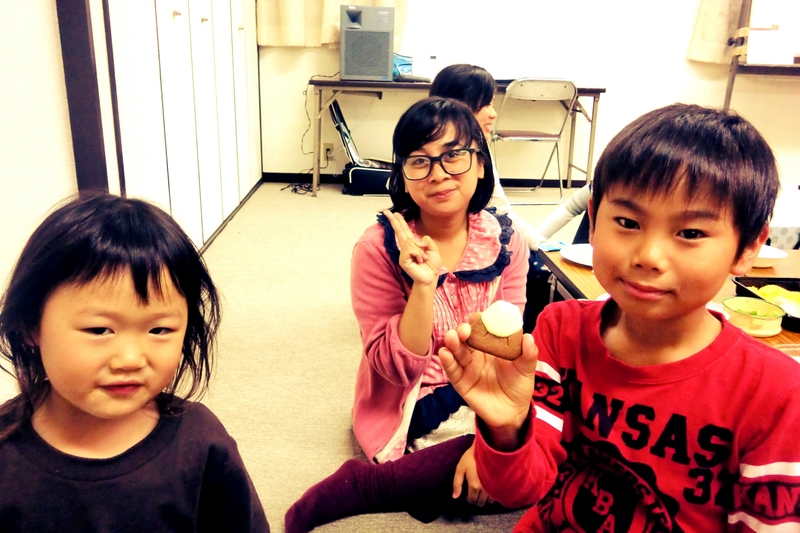 In the reception, Satou Sensei that this homestay program for YSEP student has been held for 12 years. 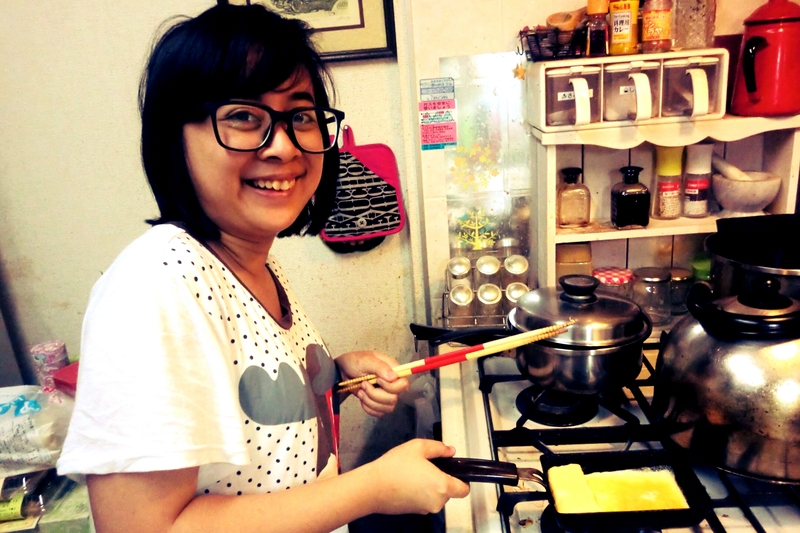 And i quite agree with her that this program is one of the fundamental pillar of YSEP, because we surely will get to know so many thing about Japanese Daily Life from this program. Me, Otousan, and Okaasan 🙂 Otousan wear a batik! 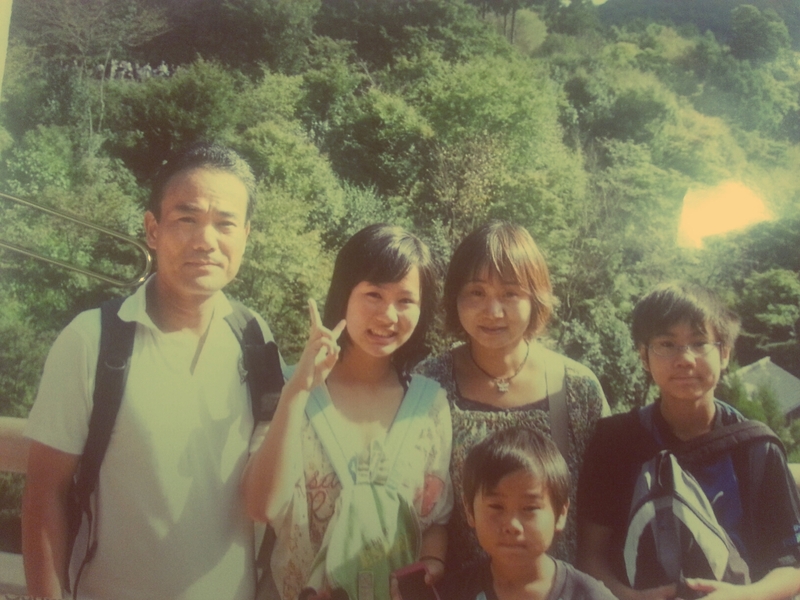 妹 Shiho Kaihori is15 years old and she’s a 3rd grade Junior High School Student. Her hobby is badminton and she’s such a cute, pretty, and stylish girl. I hope that someday i will have the chance to go shopping with her to Harajuku! Next summer she will spend 10 months as exchange student at America, she must be very witty too! first 弟 Yoshimichi Kaihori is 13 years old. I haven’t spoken much to him because he was busy with school festival when i was there. and second 弟 Sohya Kaihori is 9 years old. He is very funny and friendly, we managed to play and having so much fun together although he know very little english phrase (and so do I, i know very little japanese phrase). His hobby is baseball and he’s already in a junior team. When i first arrived at the house although it was an apartment i am really amazed that it still have the traditional Japanese house decoration. 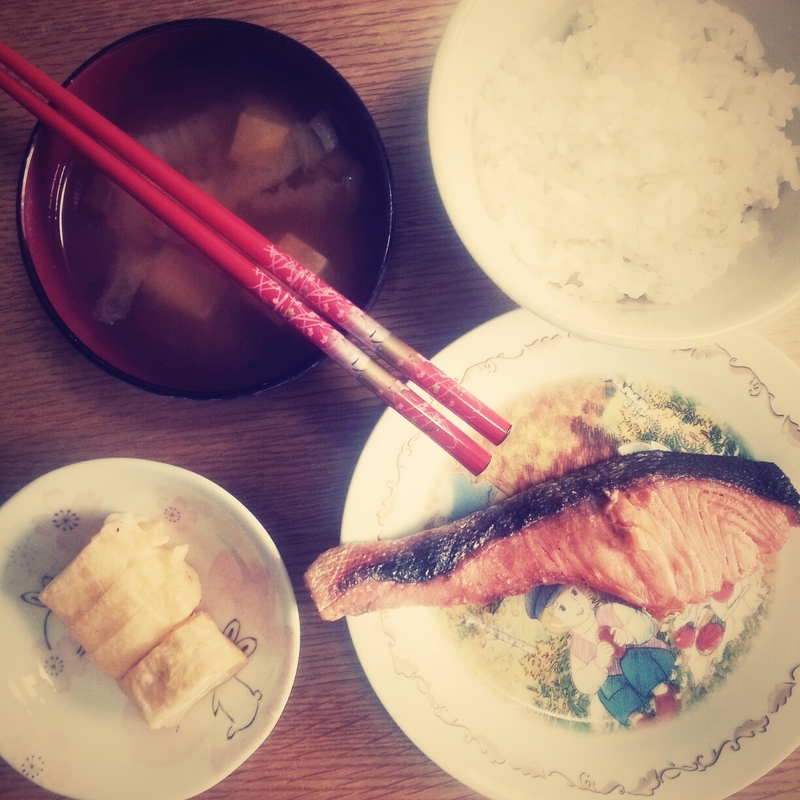 From tatami, futon, until the japanese sliding door (障子）when i first arrived i played Kanji Flash Card Game with Okaasan while listening to Hippo Family Club multilingual CD. 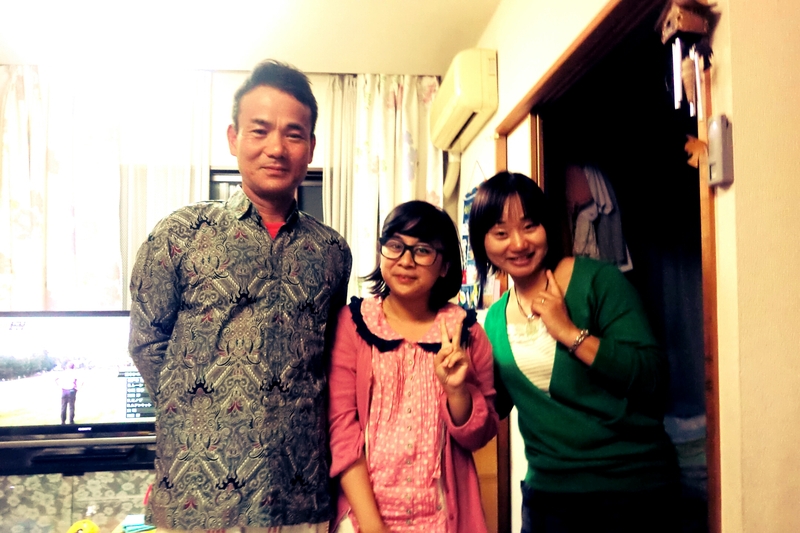 And after that we made dinner to be taken to Hippo Family Club Regional Meeting and also i had chat with the family (i talked a lot with Otousan about Indonesia). 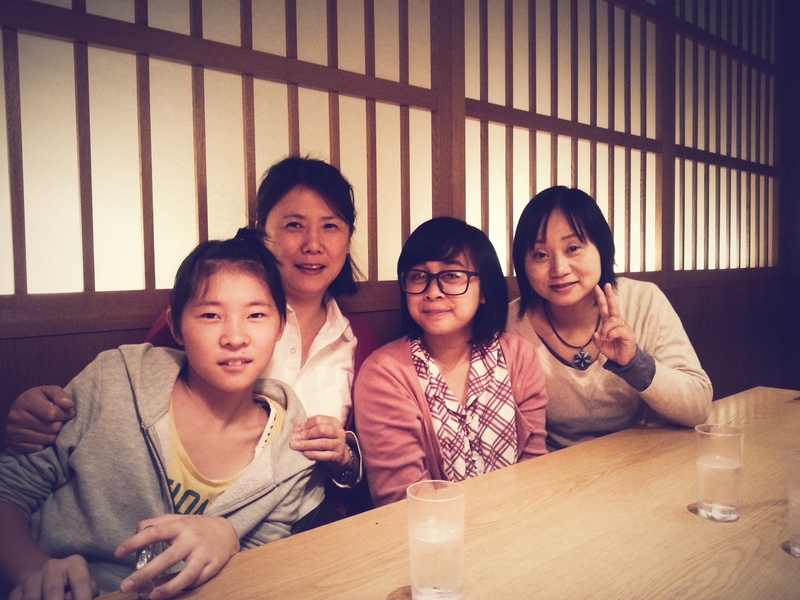 After that me, Okaasan, Sohya-kun, and Shiho-chan went to Hippo Family Club Regional Meeting. We played games and eat a lot and have fun. 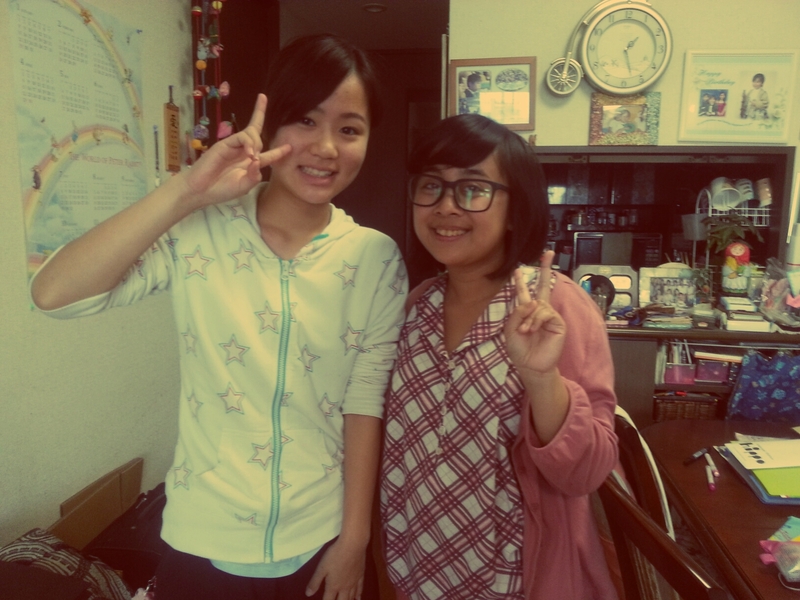 There were another 3 homestay participant which is Asri my friend from Indonesia, ZJ from China, and Danielle from Italy. Hippo Family Club Regional Meeting! Happy! 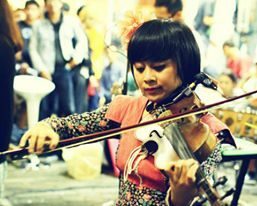 And i also have the special chance to play violin together with Risa-chan, one of the daughter of Hippo Family Club Member. 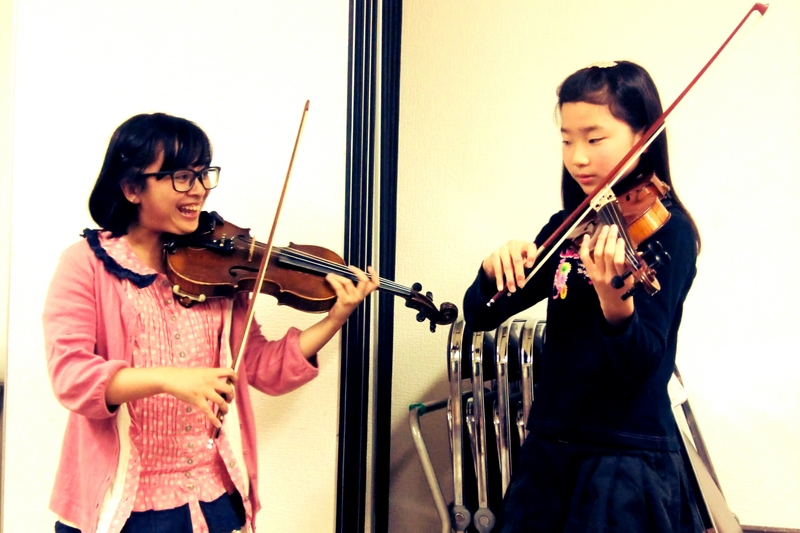 She will study music at Austria next year, although she’s only 12, i bet she will be a very good violinist in the future! We played Rasa Sayange (yes, it’s Indonesian song^^) and Twinkle-Twinkle Little Star. I tried to make the performance more beautiful by making harmony of the melody instead of playing the same melody with Risa-chan. 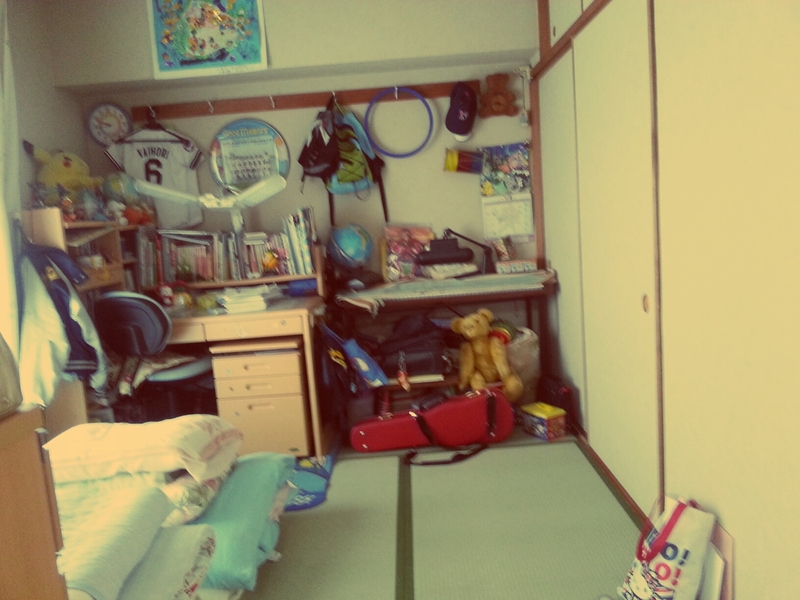 After that we went home and Okaasan read me an illustrated book (a Japanese classic story) named Sobasei and Inu no Me. The book was so funny and it also had very good illustration inside it. 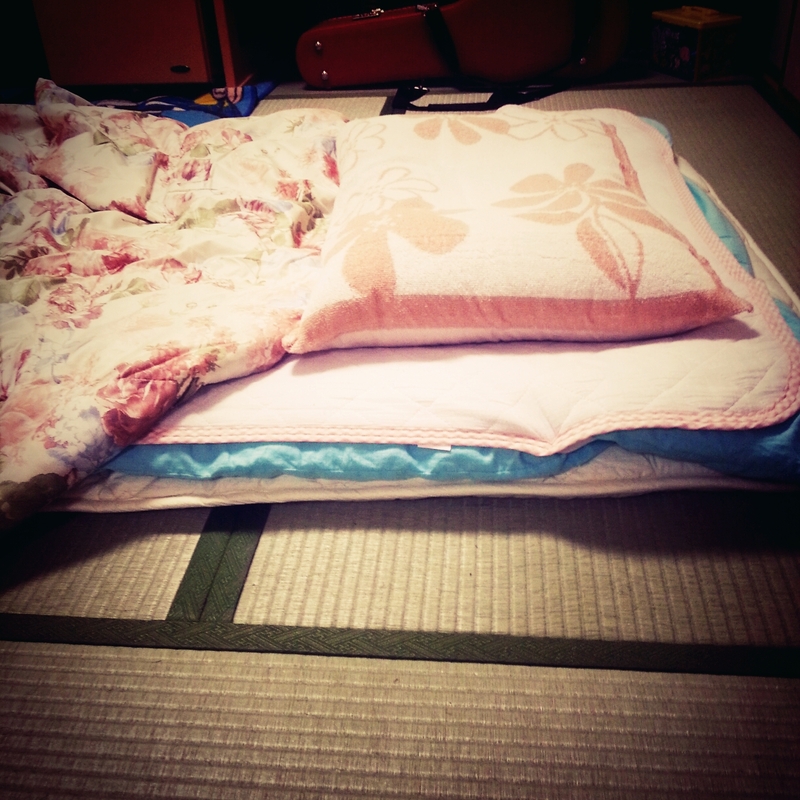 And i had the chance to sleep at futon, and it was all on pink! 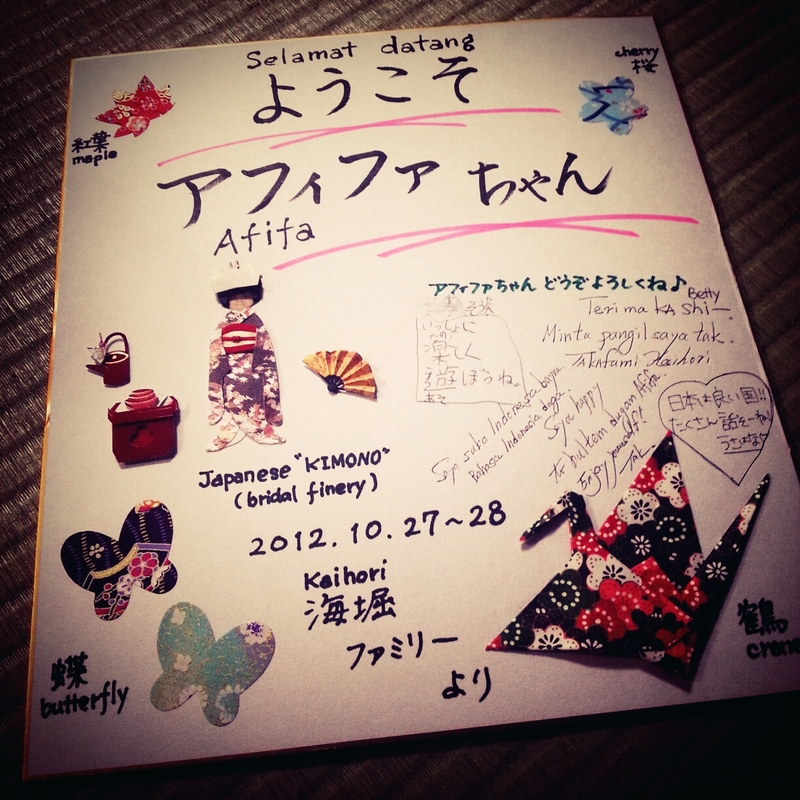 After that Okaasan taught me to do Origami, i was taught to make crane and flower, but it was so difficult. 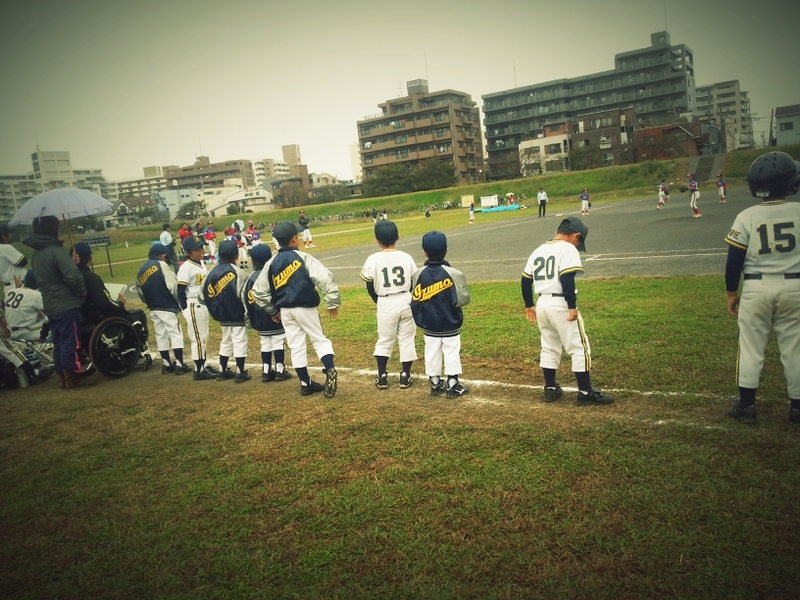 After the origami finished we go to the baseball court to watch Sohya’s game, unfortunately he lost 😦 but i bet he would be a very good baseball player someday! Ganbatte, little brother! Sohya-kun the number 13 player! 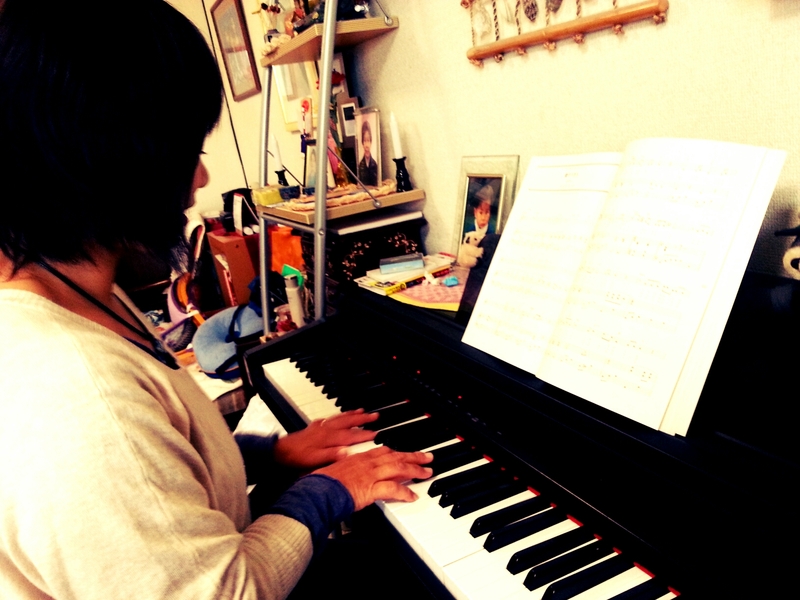 Okaasan playing piano while singing, kirei! 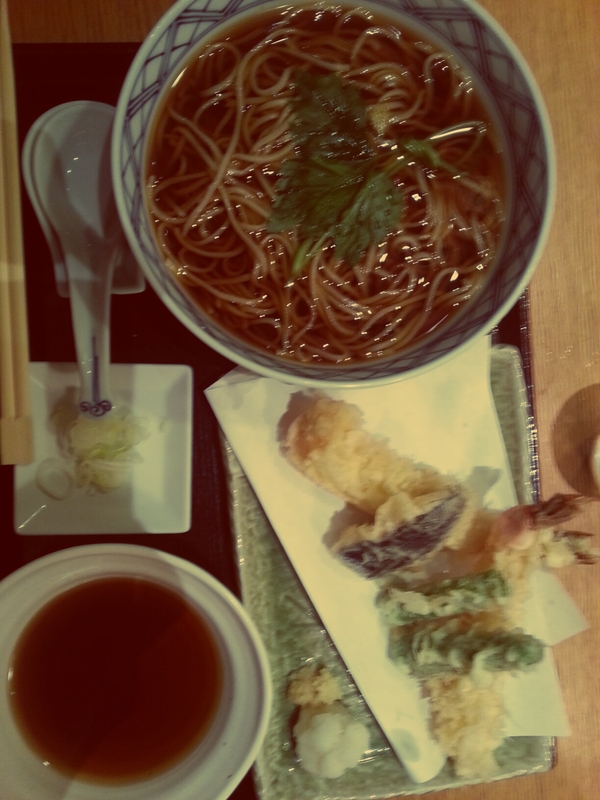 The last thing that we did is a joint dinner with Danielle and his host family at a very nice Soba Restaurant. I ate Hot Tempura Soba (for me the idea of eating cold soba is still unbelievable) and we ate Baskin Robbin for Dessert, i order a very cute ice cream that is shaped like Panda!